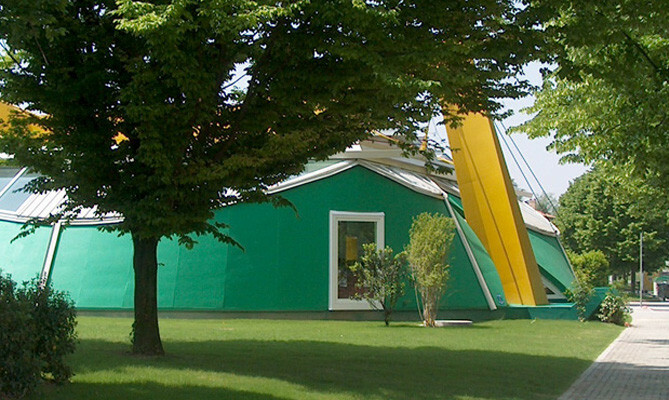 Since it was founded, the Azzolin Primary School has experimented with new didactic methods obtaining positive results. Among these was full-time schooling (a relatively new system in Italy). As there was no dedicated dining area, meals were served in the classrooms. The difficult of organizing this and the increasing demand for full-time schooling led to the construction of a 250-seat refectory. Although the meals are prepared off-site (there is a centralized catering centre serving all the schools of the municipality), the meals are distributed and served in the refectory in self-service arrangement. This solution poses a more general problem: if used exclusively as a refectory, the new building risked being used for only 200 hours a year. 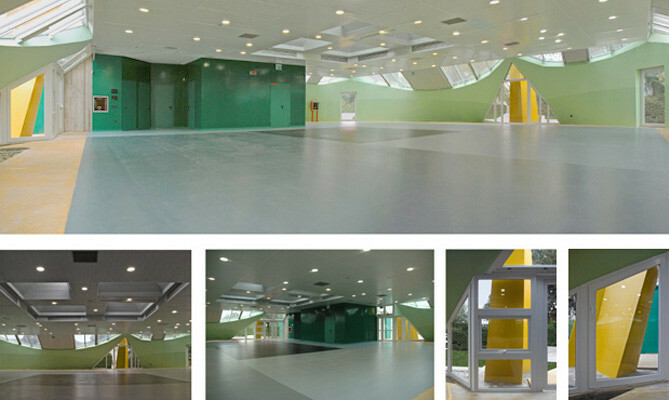 The solution was to make the building usable for other activities: school events, but also workshops, exhibitions, meetings and conferences. 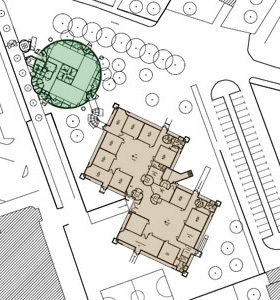 The positioning of the building had to strike a balance between difficulties relating to the sacrifice of the car park and the convenience of pedestrian access. The solution gave priority to the footpath contiguous to the school and school gym electing this as the primary means of access. The space in the hall had to be entirely free of obstructions, both to facilitate the organization of the self-service and to allow seating arrangements for conferences, workshops, debates and other activities. 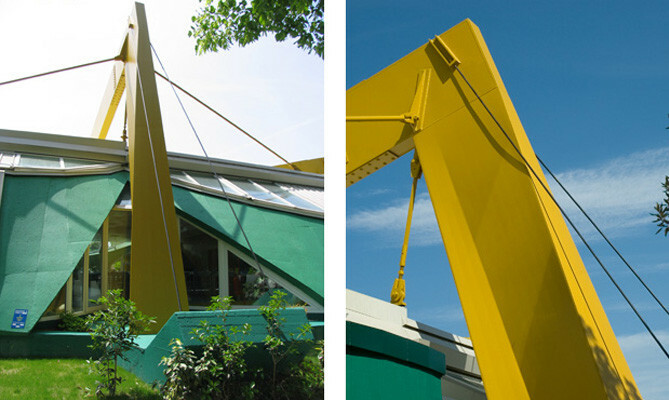 To allow this degree of flexibility the building was designed with a suspended roof. 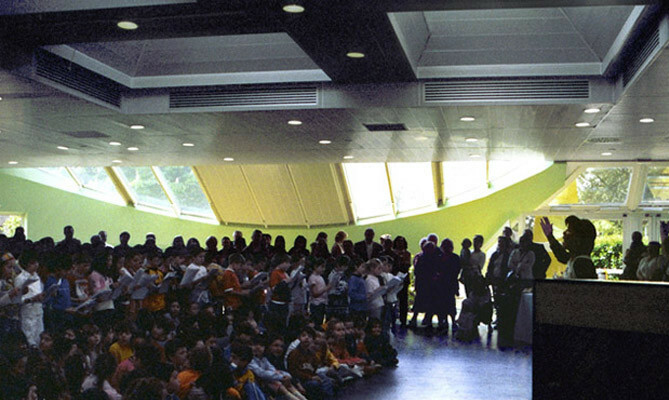 The acoustics of the hall were studied to moderate the noise produced by 250 children; other activities also require good acoustic response. 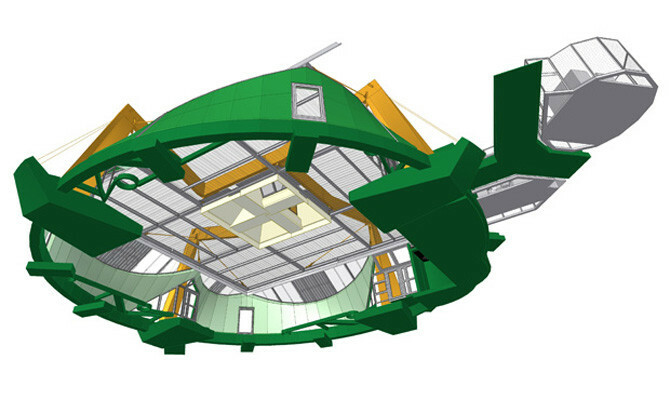 To respond to these various demands the project forms a composite space made up of components with different acoustic properties: the square area of the floor is in rubber, the ceiling in perforated and insulated metal sheets, the internal covering of the curved walls is in plasterboard applied to a ‘mattress’ of rockwool. As a ‘living’ system the building needs the temperature and relative humidity to be kept within a certain range in relation to daily and seasonal variations. But it must react rapidly to the intensive use, i.e. the presence of 250-300 people, and to the presence or absence of the sun’s rays. To provide these characteristics a flexible system was used with air being fed from a thermal generator, heat pump, coupled with an air-conditioning unit. 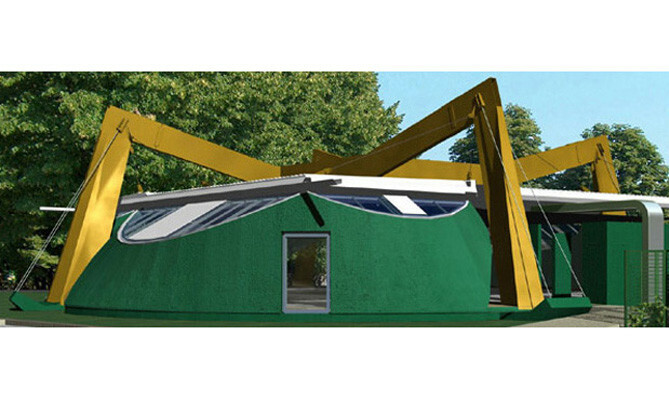 Natural lighting is provided by the sub-horizontal windows along the perimeter of the square area, but a particular tone of light reaches the central area where the meals are distributed. The hall has an ‘introverted’ character, it has its own ‘landscape’ of people and things: its form, with a number of potted plants and tree trunks to recall the trees that occupied the site, the coloured stones of various sizes along the circular perimeter. 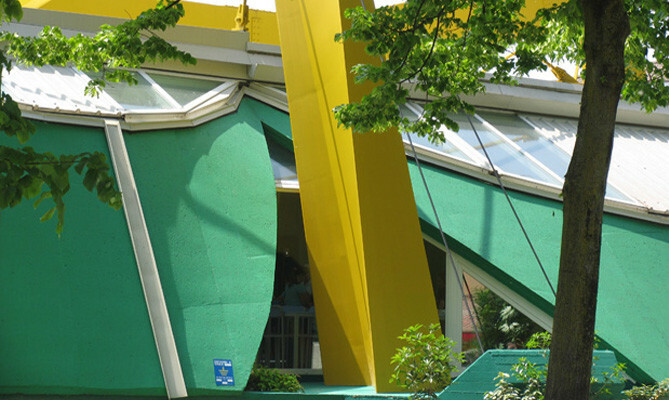 The sub-horizontal windows descend from the square of the roof with a circular border, they touch at their vertexes so that the perimeter walls resemble the dancers in la Danse by Matisse. The bold colours of the building highlight the components of its structure and create a harmonious continuity with the indoor/outdoor space. The refectory/auditorium is linked to the school by a covered walkway that also acts as a storage space for furniture.